DMX walked out of Gilmer Federal Correctional Institution on Friday (January 25) a free man after serving roughly one year for tax evasion. Following a couple of pit stops at a Maryland gas station and an IHOP where he took several photos with his fans, he performed an impromptu show at an anniversary party for the Mr. Ciao restaurant in Staten Island, New York. 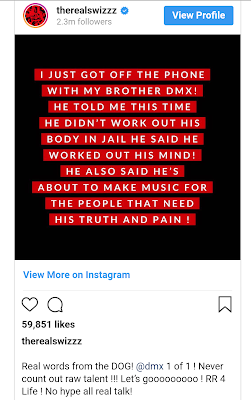 But so far, X hasn’t uploaded anything to his social media accounts to let his fans know how he’s doing. On Sunday (January 27), Swizz Beatz took charge and provided an update on X’s mental state via Instagram. 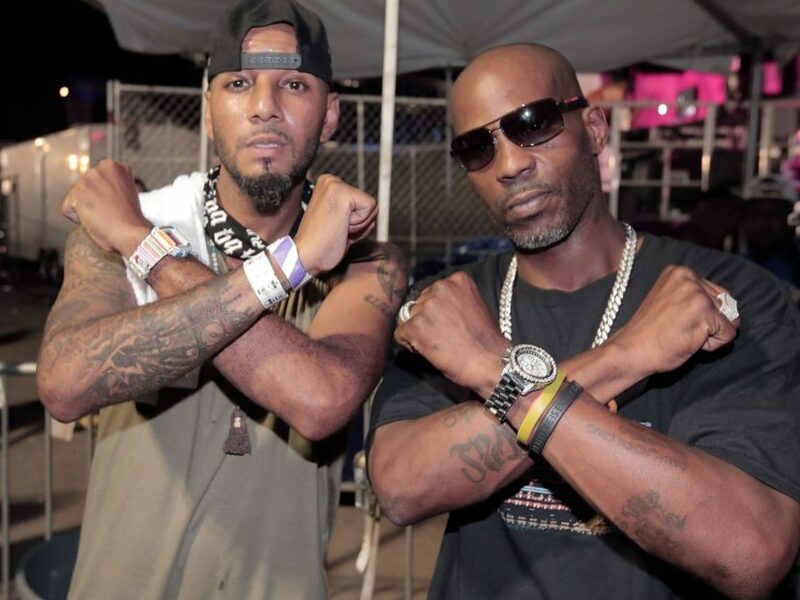 Prior to that, they teamed up for “Get It On The Floor” and “A Yo’ Kato,” which were both taken from X’s fifth studio album, 2003’s Grand Champ. The dynamic duo might just be ready to hop back in the studio.